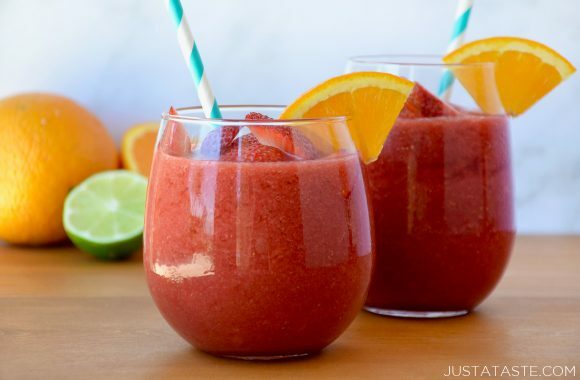 Beat the heat with a refreshing recipe for The Best Frozen Sangria loaded with fresh fruit. Today my little boy turns 2 years old. 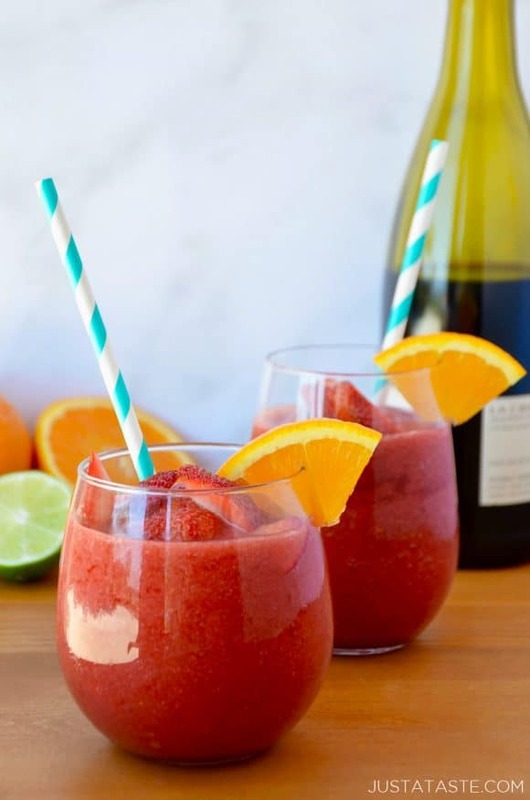 But before you start scrolling in anticipation of a sappy “someone stop time” post, allow me to direct your focus: alcohol slushies. I repeat, ALCOHOL SLUSHIES. Yes indeed, today is Julian’s big second birthday. It’s hard to believe that two years ago today, I was pumped with Pitocin, stabbed in my spine with a foot-long needle (I see you, epidural) and popped out an 8-pound boy. If that doesn’t deserve a cocktail, then I don’t know what does. So here we are, celebrating my sweet boy’s second year and toasting to all the amazing chaos that life with two little boys ages 2 and under entails. Wine. It entails a lot of wine. You see where I’m going with this, right? Forget the glasses. Skip the straws. Find your nearest garden hose and HAVE. AT. IT. 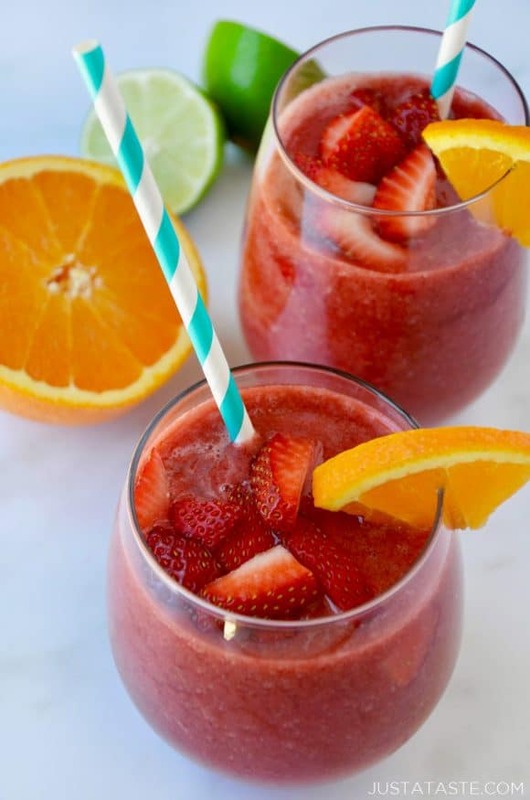 Combine the red wine, Cointreau, frozen strawberries, orange juice, lime juice and honey in a blender and blend until puréed. 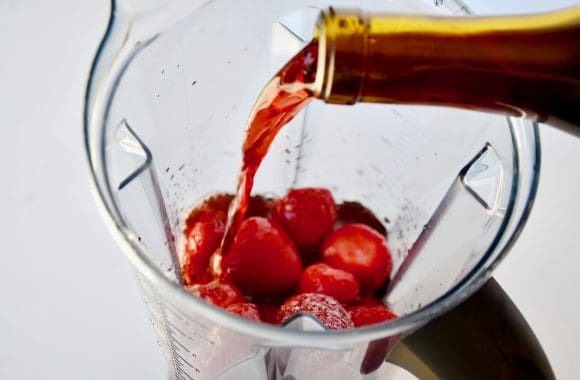 Pour the sangria into serving glasses and garnish with fresh fruit.